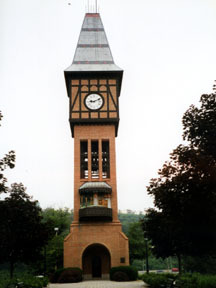 Clock tower near the walk start. 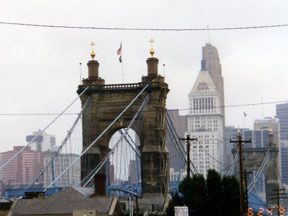 Suspension Bridge between Cincinnati and Covington was built by the same man that di our Waco Suspension Bridge. Ours was built first. 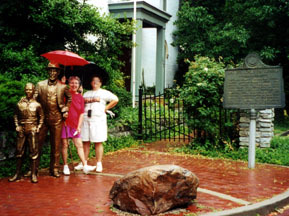 Statue of the man who started Boy Scouts of America. 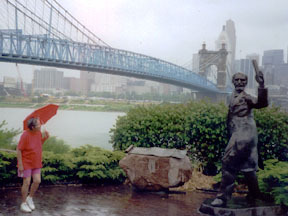 View of the bridge from the riverwalk. 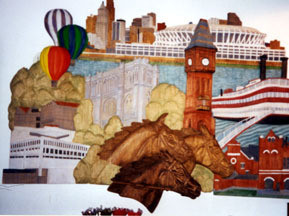 Nice mural on the visitor's center wall. I checked in the 2004 Starting Point. This is no longer a YRE.